France offers some of the world’s best. Including best wine, finest cheese, top restaurants, luxury fashion brands and heart-stopping countryside, coastline and urban hotspots, historical treasures in form of architecture, museums and galleries. Driving across France is most rewarding for all your senses. Choose a quality-crafted car that can take on the varied French terrain, and start your journey from the snow capped Alps to the French Riviera. Choose a Maserati Gran Cabrio Sport or a Ferrarri FF during the warm summer days and the powerful Porsche Cayenne or BMW X for the trip up to the Alps during winter. Attracting more visitors than any other region of France is the south-east with its long Mediterranean coast and Cote d’Azur (the French Riviera). When spending time at the French Riviera, driving down the beautiful southern coastline is as every bit attractive as sipping the cocktails in jet-set clubs of Saint Tropez. 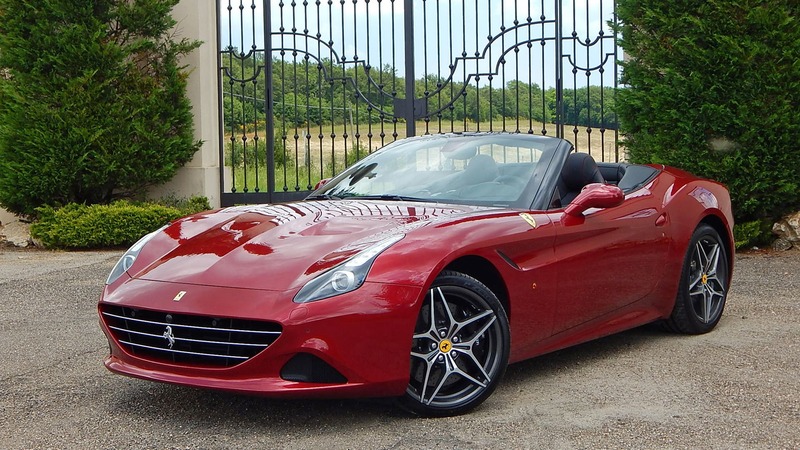 Rent a luxury car in France to suit the occasions, such as a stunning Ferrari California or an Aston Martin. Visit the world famous Nikki Beach and taste fresh seafood at some of the finest restaurants that line the port. Drive up the stunning coast to Cannes and Nice for some old-world opulence and palm-lined promenades or head out into the picturesque villages and fairy-tale like countryside of Provence. France is truly the ultimate destination offering that something for everyone. In the cooler winter months the French Alps become the world’s biggest ski playground. France has no shortage of terrain and skiers, snowboarders and other winter sports enthusiasts flock to the French Alps for a memorable winter holiday. It boasts the three largest interconnected ski resorts in the world with most charming towns, beautiful vistas and excellent skiing. Drive the scenic roads and enjoy stunning views of the world’s snowy wonderland, with world-renowned skiing grounds, making your heart pound and leave you feeling fabulous. Take in the views of snow-capped mountains when you are comfortably nestled inside a powerful and safe SUV such as the Range Rover Sport. For wine appreciators and true hedonists, no better place to feed your senses than to experience authentic historic French towns, rich in vineyards and world famous chateaux. The Burgundy and Lorie Valley offer some of the most attractive wine producing areas in the world. This is one of France’s most prosperous regions. Drive to the northeast region to the popular villages and vineyards of Alsace. Northern France includes the most famous champagne producing area of Champagne – Ardenne. Wine is the region’s biggest attractions and has been playing the key role in the local economy since the time of Luis XIV. Chablis, Macon and Beaune are leading wine spots. So make sure you put those on your must visit list when you think French wine country. Luxury car rental in France and driving across the country is a memorable road trip especially in an Aston Martin. When you arrive to Paris, famous landmarks and monuments are around every corner. The Eiffel Tower is one of the most famous Paris symbols and the city’s must see attraction. The list of attractions in Paris is a long one, but ne not to be missed of all Paris sights is the Louvre Museum, most famous museum in the world of course. Also unavoidable Paris attractions include the Champs-Elysees Avenue, Notre Dame Cathedral, Sacre-Coeur, Arc de Triomphe and Monmartre. The Palace of Versailles stands as a testament to the rich history and awe inspiring French architecture and achievements in 18th century French art. Enjoy sophisticated French cuisine and world renowned wines after you have completed your round of shopping at the world renowned Lafayette Gallery. France certainly knows how to charm its visitors with treasures you find around every corner with luxury car hire in France.